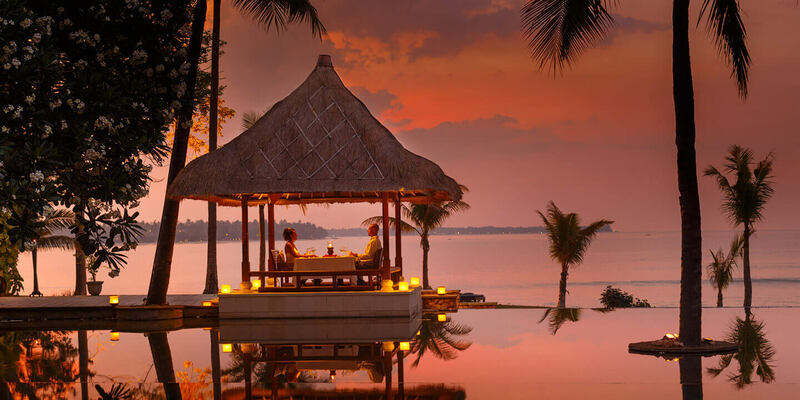 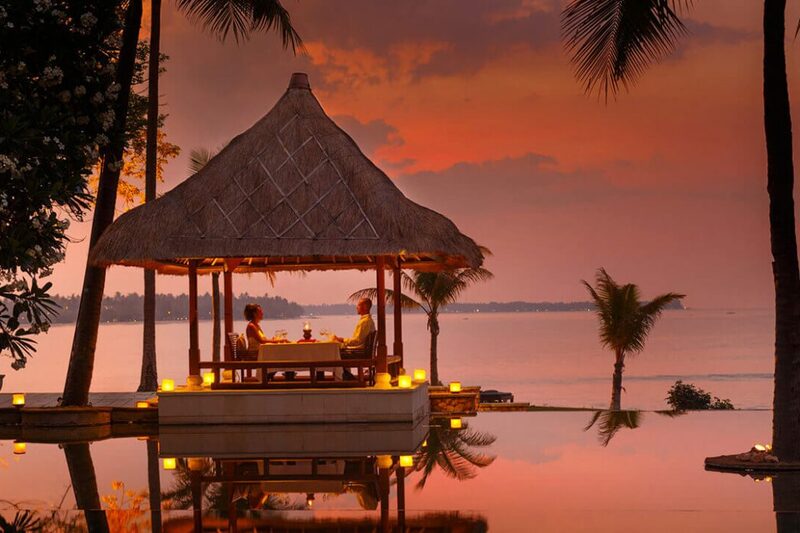 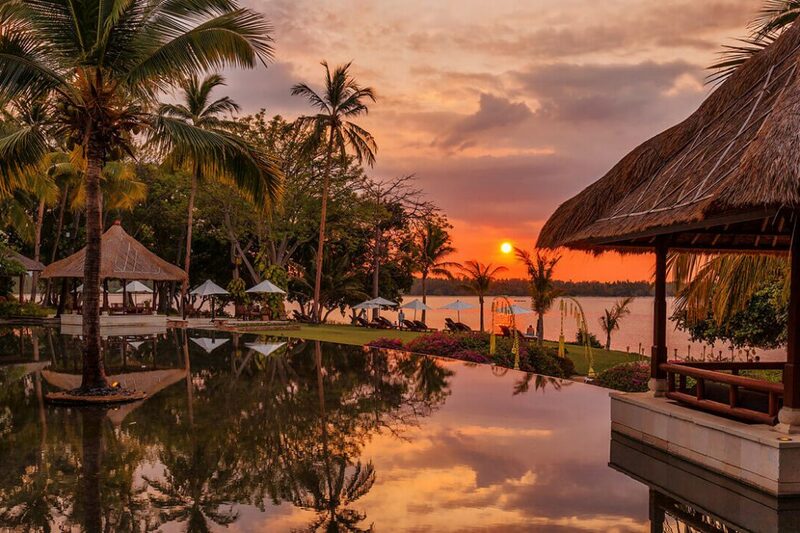 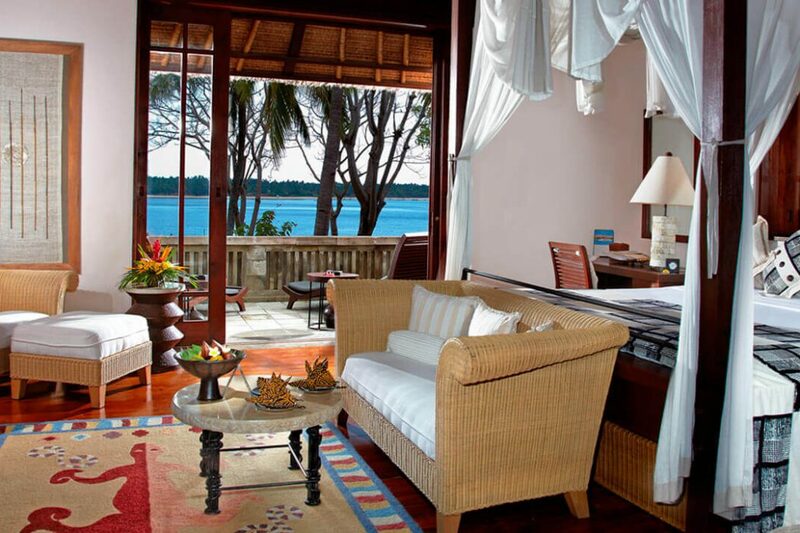 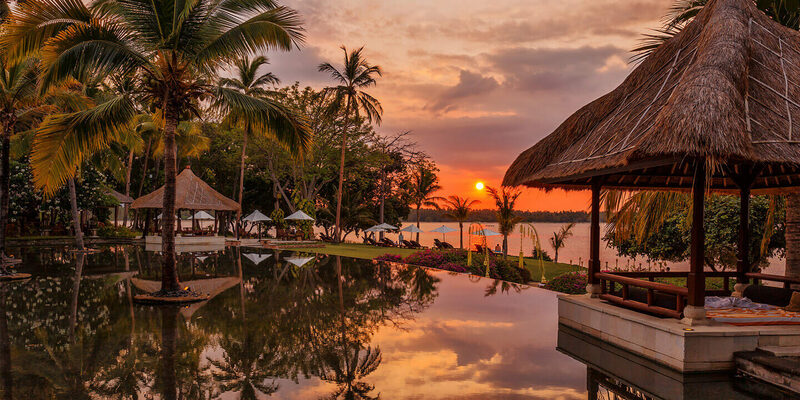 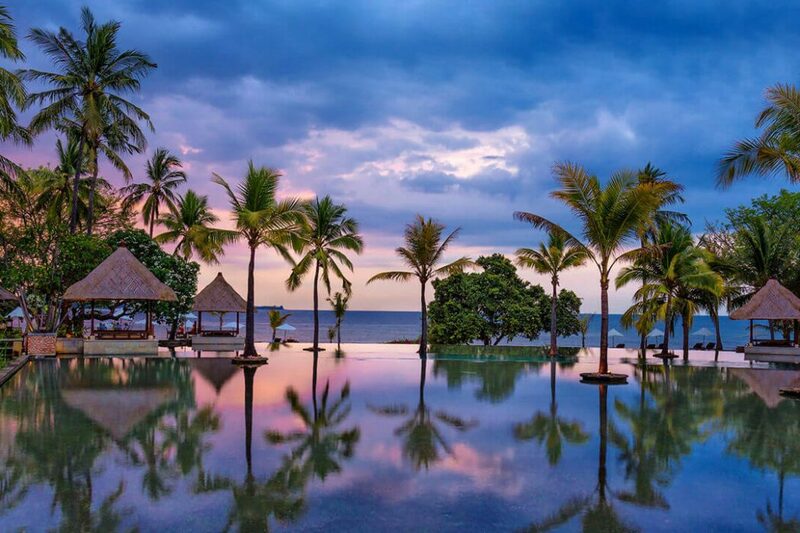 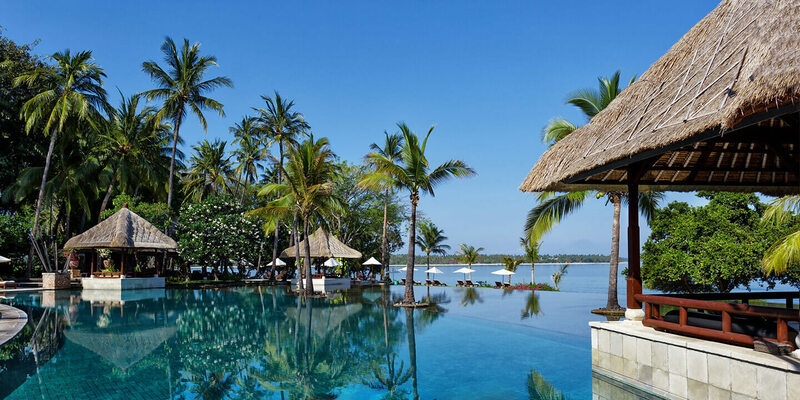 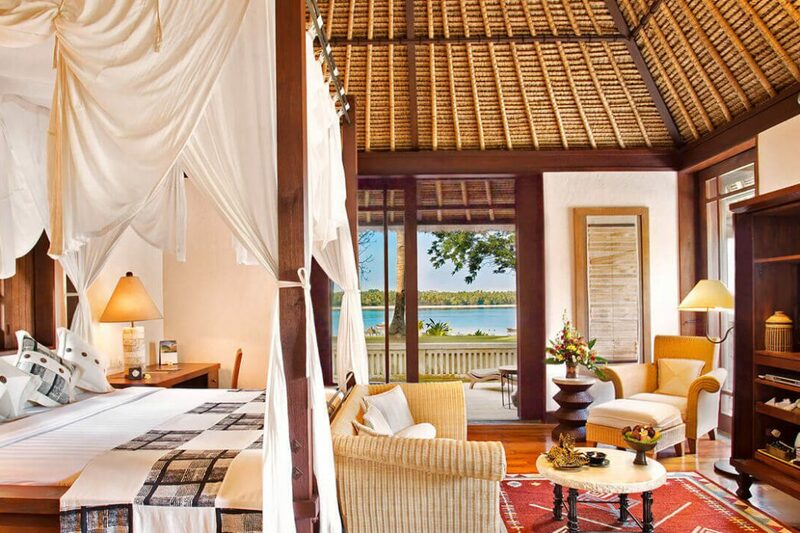 The Oberoi, Lombok has a romantic setting on a pristine beach with sunset views over to Bali and Mount Agung volcano. 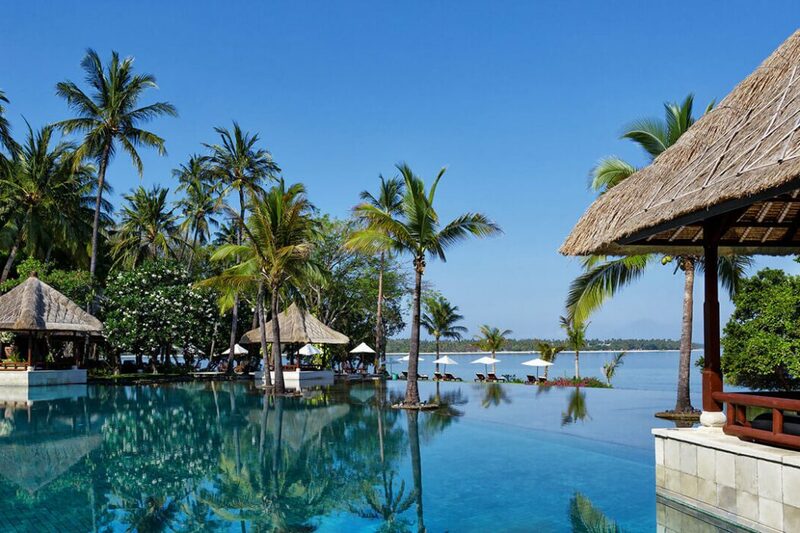 The hotel and its gorgeous infinity pool are nestled in sweeping landscaped gardens, vibrant with bougainvillea and towering palm trees. 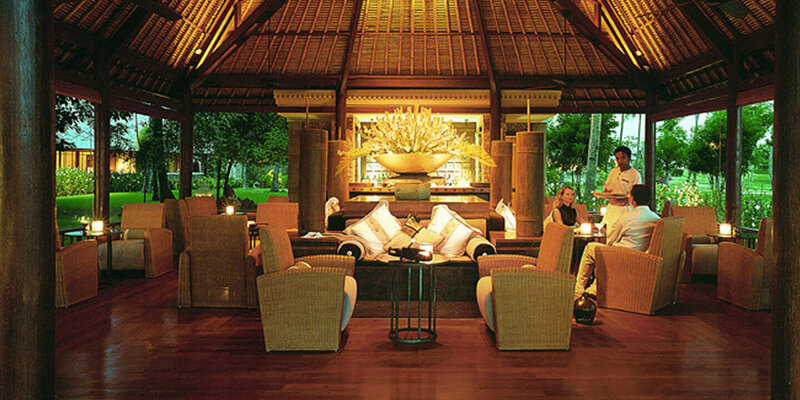 The Oberoi, Lombok is located on the island of Lombok (65 kilometres due East of the island of Bali). 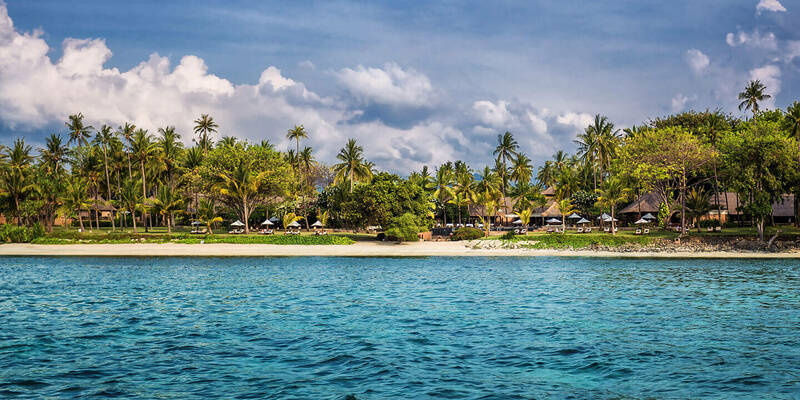 The Resort is a two hour drive from Lombok International Airport. 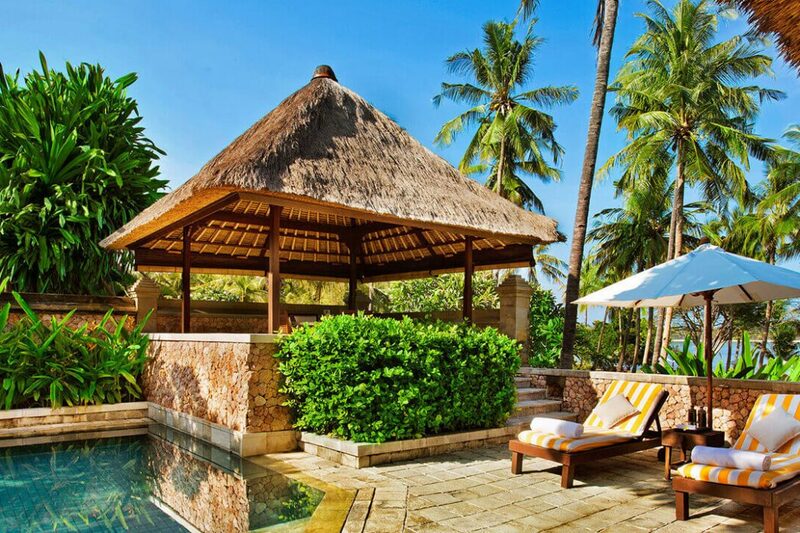 The Oberoi Lombok has a beautiful tropical garden setting. 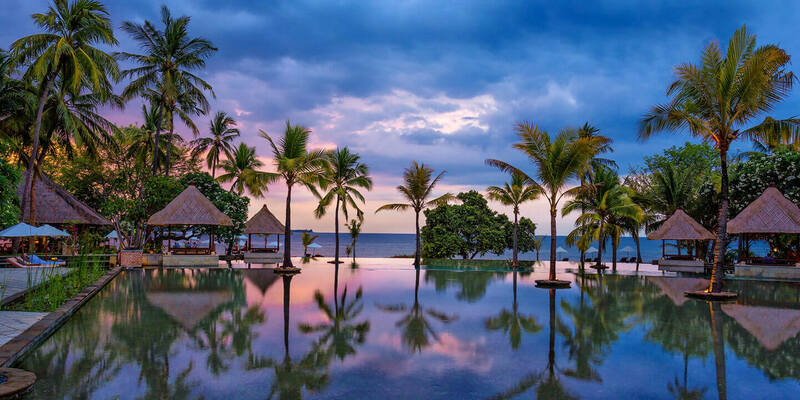 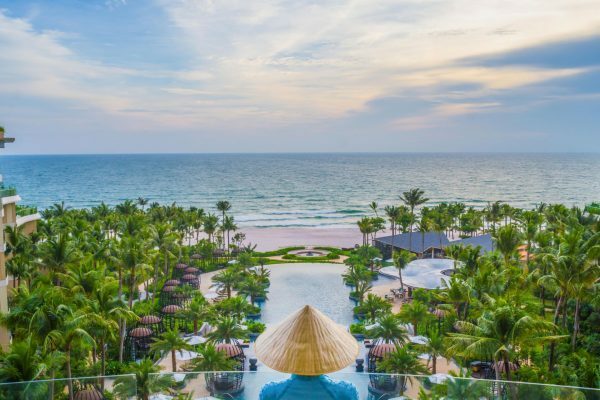 Furthermore, the hotel offers a large swimming pool (bath towels, sunbeds and umbrellas at no extra charge), a restaurant with Asian and international cuisine, a cafe and the “Tokek” bar. 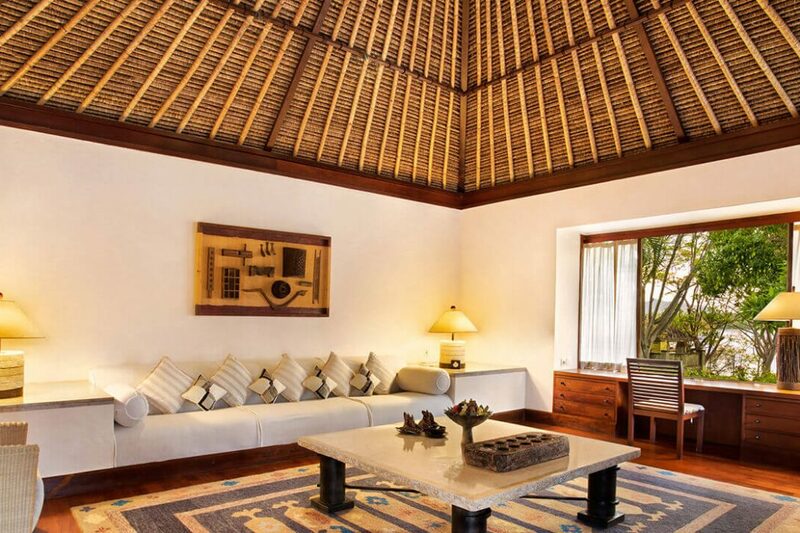 WiFi internet access available throughout the complex (no extra charge). 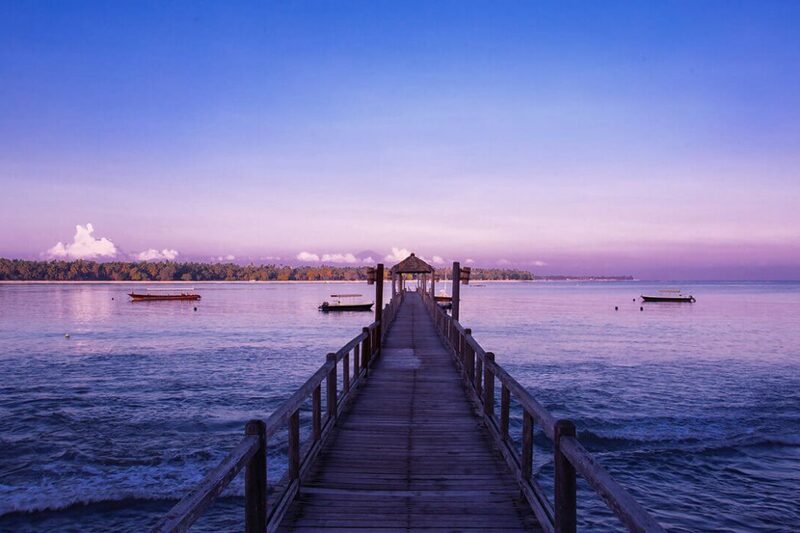 The Oberoi offers following activities: Tennis court (floodlit), windsurfing, snorkeling, mountain biking, kayaking, minigolf and fitness center. 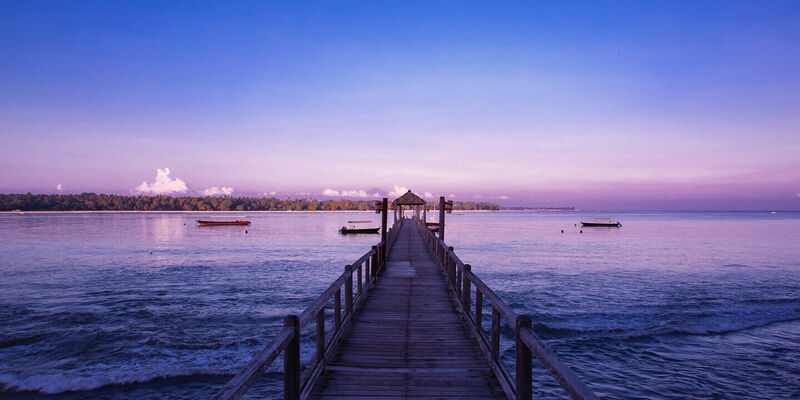 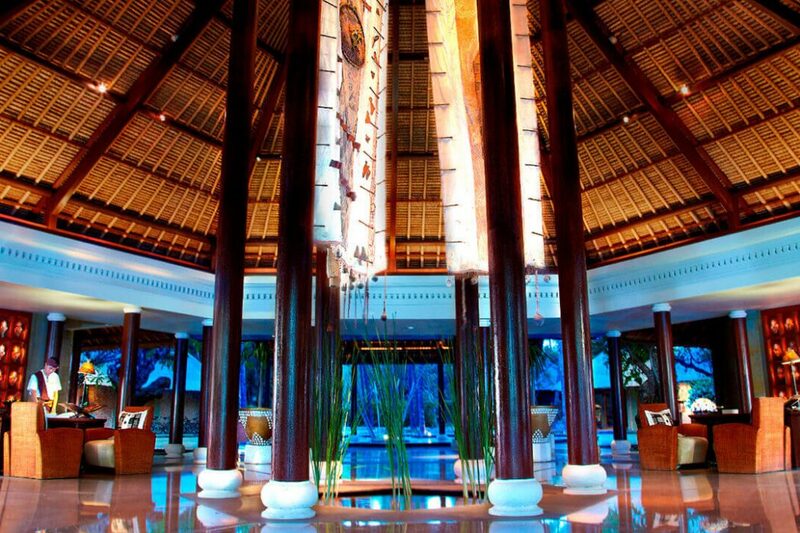 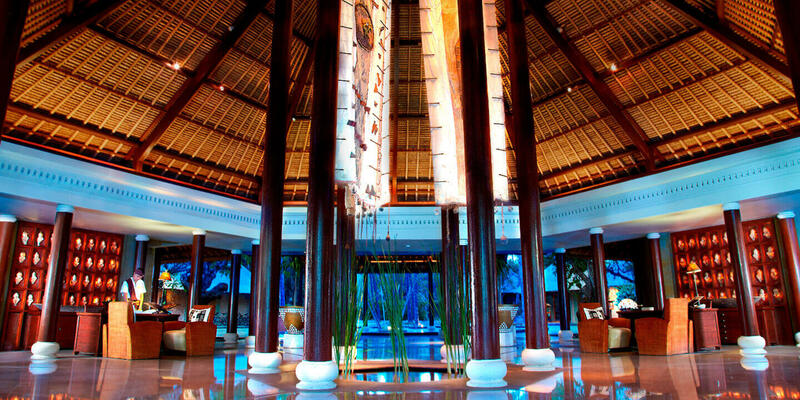 For a fee: “Oberoi Spa” as well as various water sports in the hotel’s Beach Club. 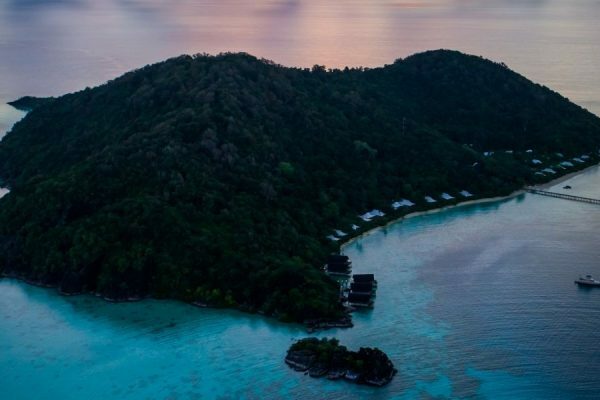 The hotel has a dedicated PADI certified dive centre. 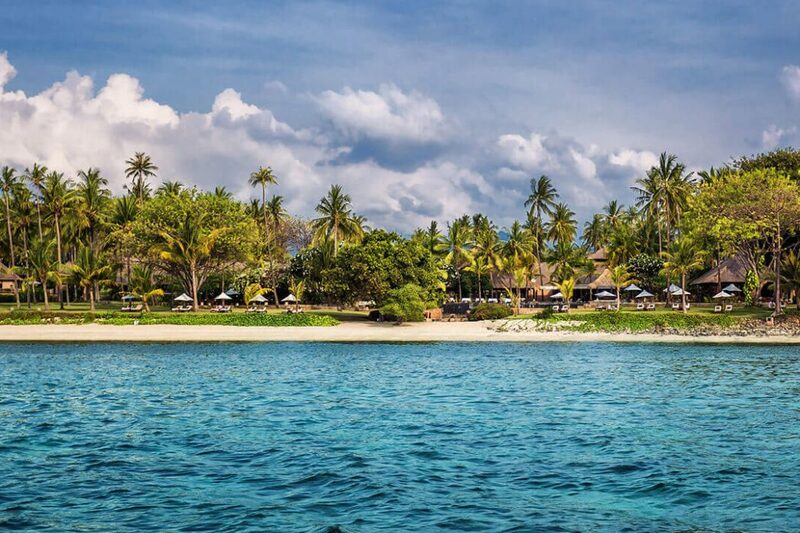 Boats tours to the Gili Islands are also available. 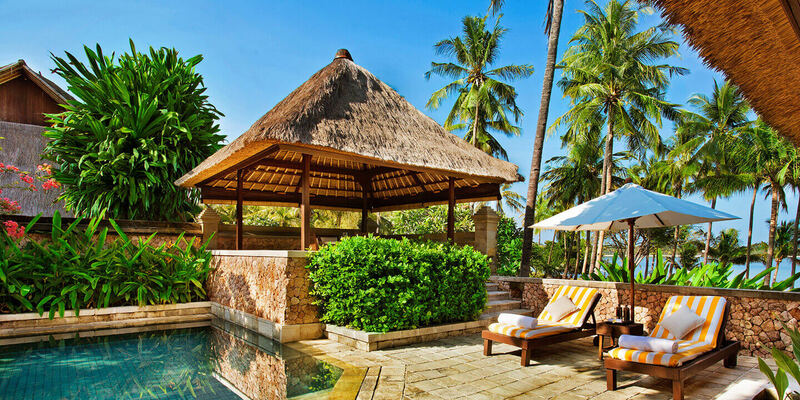 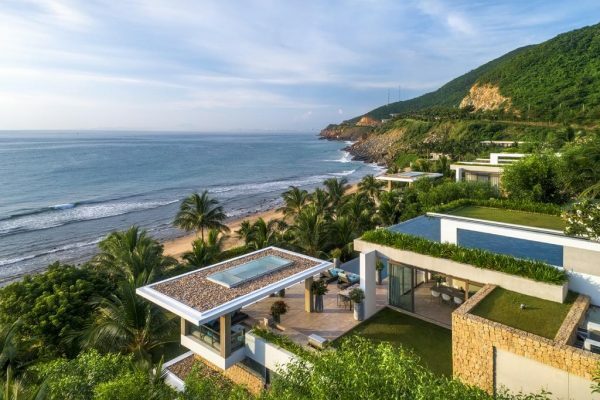 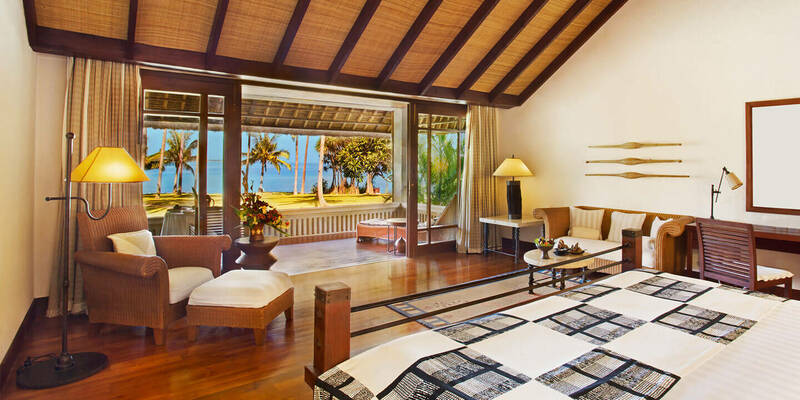 The Oberoi, Lombok’s 50 villas and pavilions are set amidst lush, tropical beachfront garden. 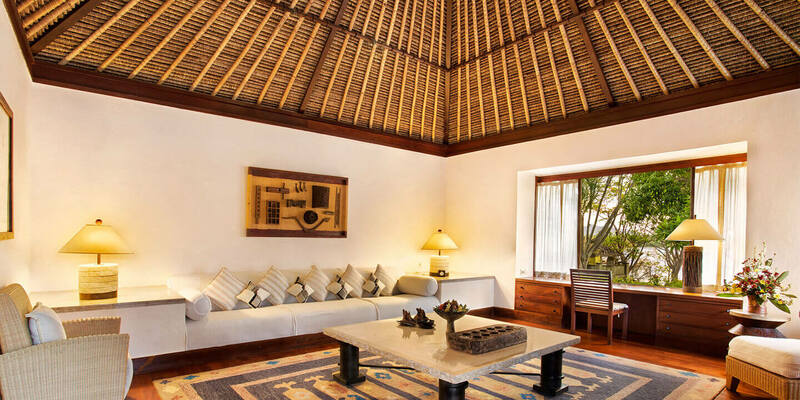 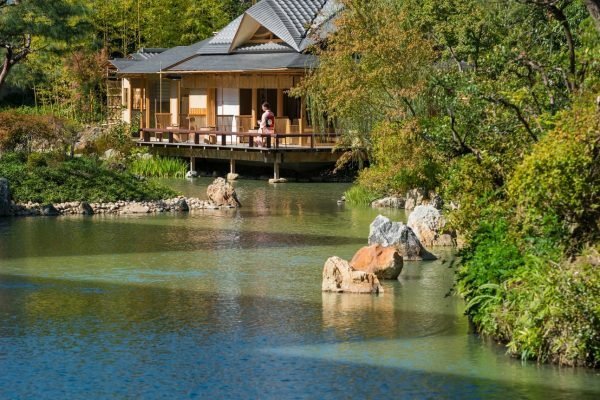 Materials are locally sourced – think thatched roofs and pink limestone walls in the garden – and built in the traditional style. 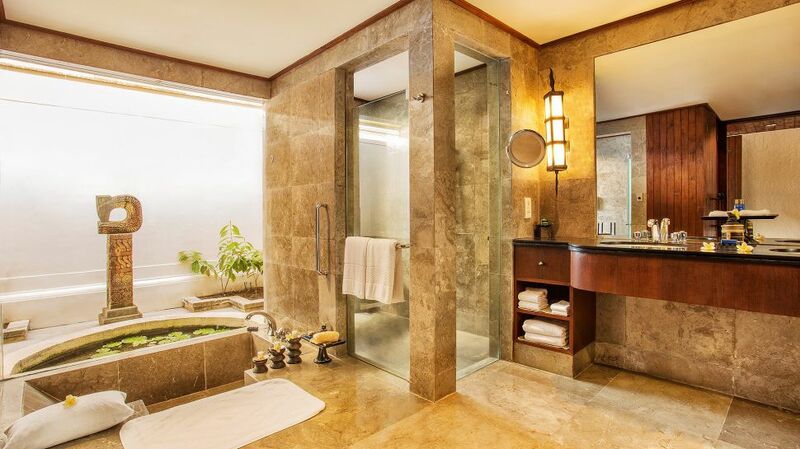 Of course, you can expect the full range of luxury accoutrements: air-condition, satellite TV, private safe, high-speed wireless, and CD players are standard. 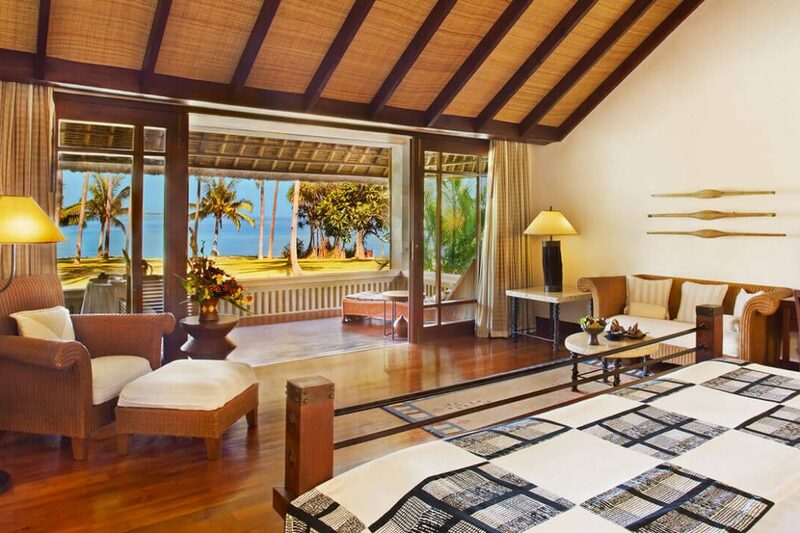 The Luxury Pavilion Garden View rooms (about 90 sqm) have a large living / sleeping area and a terrace overlooking the garden. 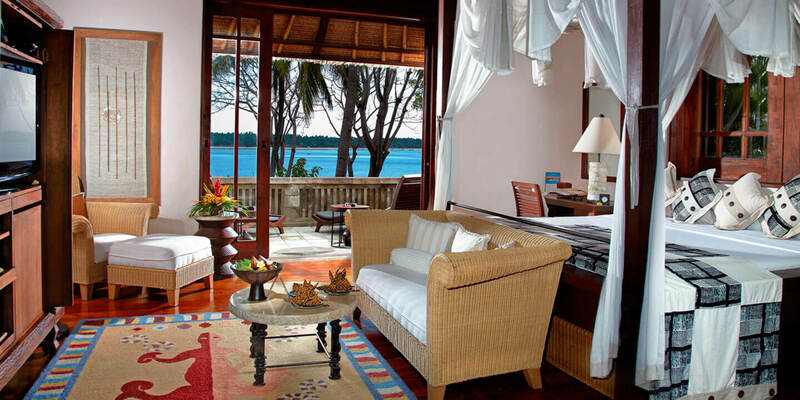 The Luxury Pavilion Ocean View rooms have the same facilities, but offer a magnificent view of the sea. 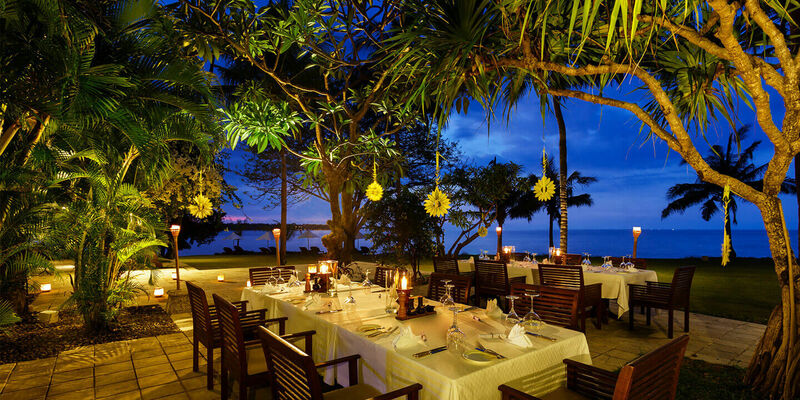 The restaurants and bar at The Oberoi, Lombok are caressed by the sea breeze, melodious bird song and chirruping geckos. 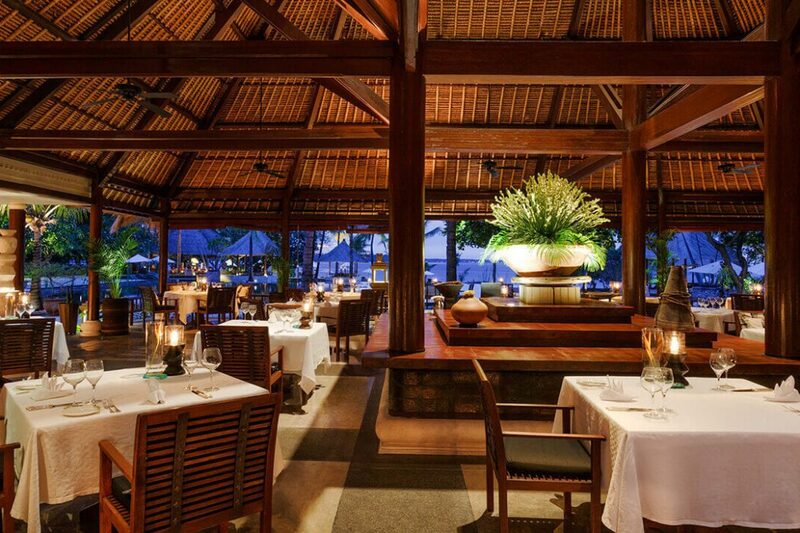 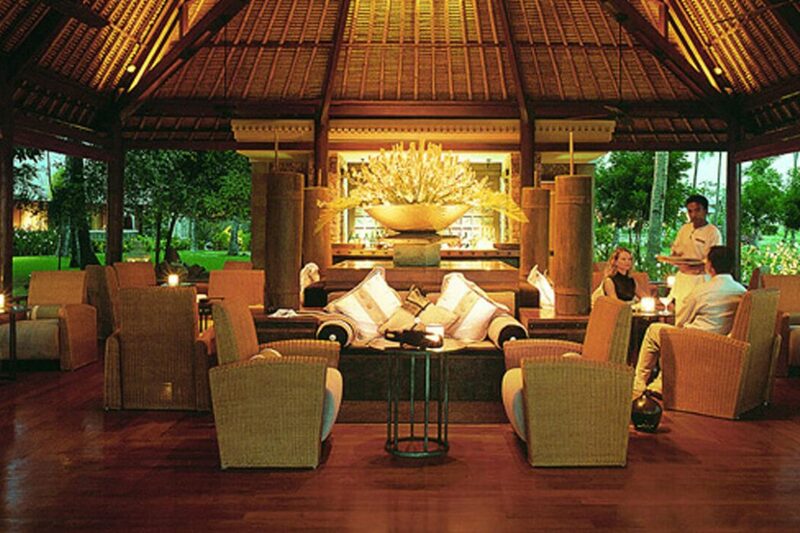 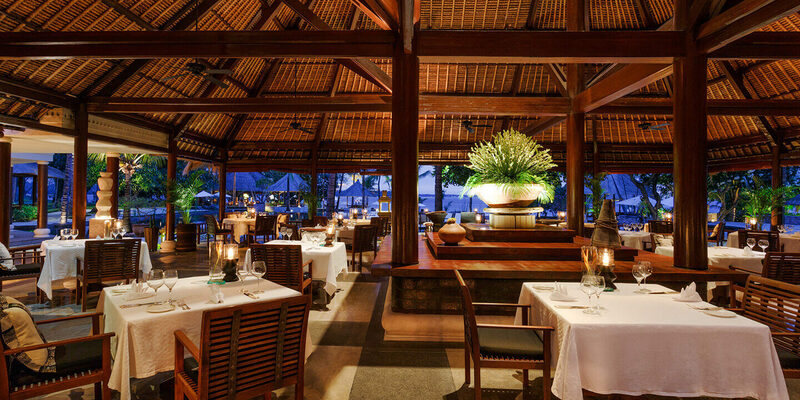 Guests who dine at the Oberoi can enjoy a luxury dining experience unique amongst hotels and restaurants in Lombok. 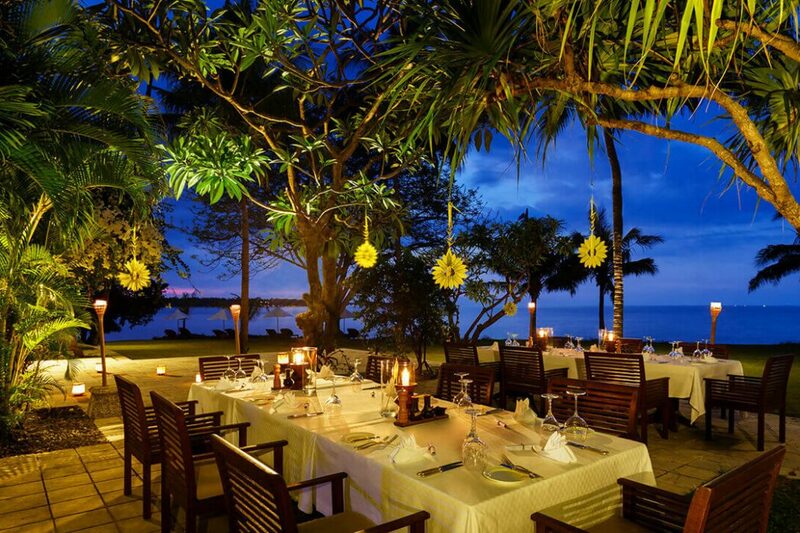 Experience a romantic, candlelit dinner on the soft, white sands of Medana beach.